South Africa is a beautiful country with equally beautiful marine life. Sadly, our marine life is under threat due to human interference such as habitat destruction and over-fishing. We do have protected areas in which fishing is forbidden so as to save some of our native species. Our oceans are filled with the tiniest creatures, and some of the largest. We have everything ranging from sea horses to Great White sharks, all requiring protection. Only 15% of our 3000km coastline is under protection. Previously only 11% was protected, but the South African government is fast realising that our nature needs to be looked after. Along with establishing these marine protected areas, we will also be employing more marine protection officers. It is their job to keep a watch on our coastline to ensure that our oceans and their animals are safe. Our fishing control officers are also in charge of a fleet of patrol vessels which will make their way along our coastline. The more eyes we have on the water, the better. Along with endangered animals, we also have many species of endangered coral. Both of these are under threat when it comes to commercial fishing, such as trawling. Nets are incredibly destructive on the undersea environment. One of South Africa’s main economic pulls is the tourism industry. People flock to our country from all over the world to see our fauna and flora. We need to ensure that we protect our native species and their habitats, to keep our country beautiful. 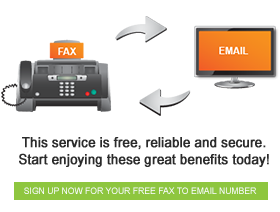 At Fax FX we do our bit by using online faxing. Online faxing reduces our impact on the environment and as a result, our animals.